Blood flows in a circulatory manner. The heart pumps blood out through contraction and squeezing action. Blood is pumped out of the lungs to the heart through the pulmonary veins (oxygenated blood). Blood is pumped out to other body parts through the aorta. (waste products and carbon dioxide --> blood) ] --> veins. Veins carry deoxygenated blood back to the heart (right side). 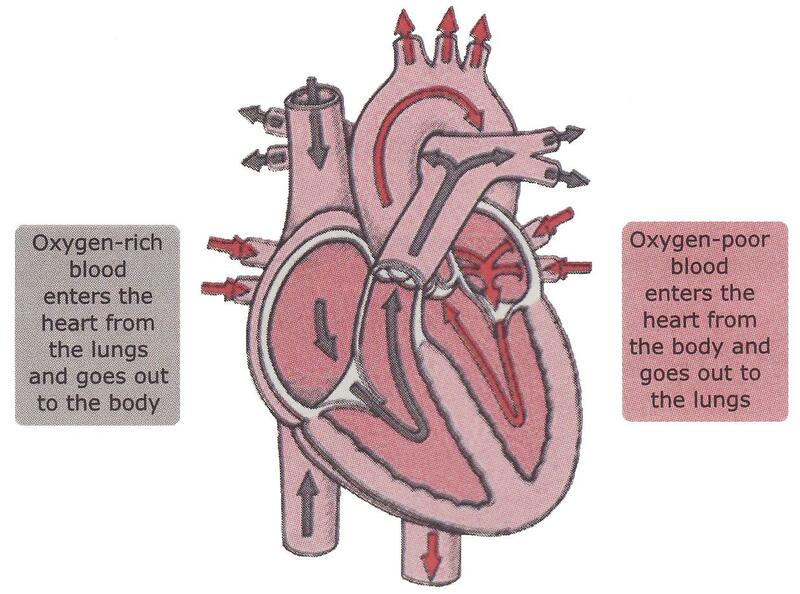 The deoxygenated blood is carried to the lungs to be oxygenated. can I ask one question....what is the function of valve?